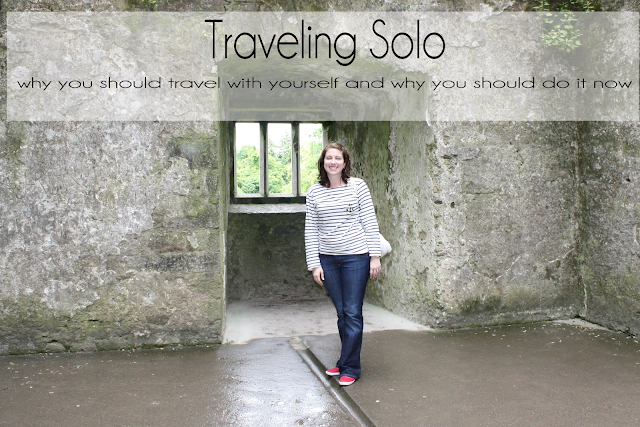 Today I’d love to tell you why traveling solo is one of the best things you can do! Most people do not want to visit someplace exciting or new without a buddy. While traveling with friends or family is an amazing experience, I would suggest that taking a trip solo at least once in your life teaches you more about yourself than you could ever imagine! 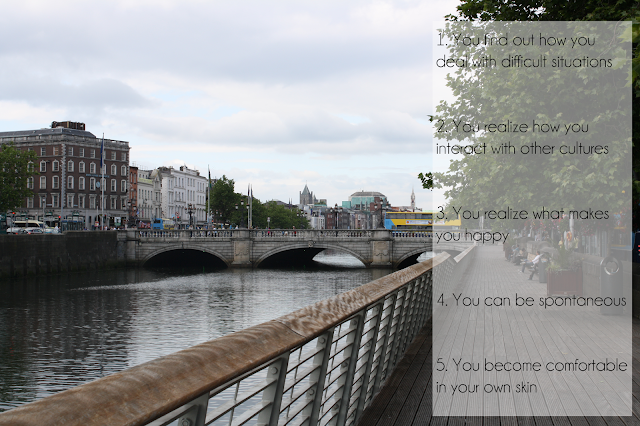 I traveled through Ireland and Northern Ireland for a little over a week, between my semesters in France, by myself. It was a crazy trip: I almost missed my flight at Charles de Gaulle airport, almost got my bag stolen on the train, and got completely soaked from a thunderstorm in Blarney. The lessons I learned about myself and how I handle situations was a blessing. 1. You find out how you deal with difficult situations. Flight delayed? Bags lost? Hotel reservation gone? Rude people? You learn to stand on your own feet and deal with situations head on. There is no one to lean on except yourself and you come out of these situations walking taller and more confident in your abilities. 2. You realize how you interact with other cultures. You see if you stick to more ‘American’ places and your hotel or if you venture off the beaten path and embrace with the culture. You learn that your initial views of the city or culture you are in might have been wrong and you find a whole new respect for the place you are in and the people who are surrounding you. 3. You realize what makes you happy. Do you need to talk to people to make your spirits lift? Do you need to read a book in a park and chill for a while? Do you need to stare at a painting in a museum for an hour? You find out what charges your batteries and you do it, without any bad feelings about wasting time or imposing on someone. 4. You can be spontaneous. You can make all the plans you want but if you pass an interesting looking shop you don’t feel bad about ditching people or plans to go in a spend time looking around. You can go to a pub and watch a soccer game and chat with locals and find out what they think you should see in their city. 5. You become comfortable in your own skin. How can you not, right? You stop worrying about what other people think about you and you learn to enjoy time with your thoughts. By the end of your trip you feel completely comfortable eating lunch by yourself in public or sitting on a park bench just relaxing. So go. Just GO. Pick a place and go all alone. It can be a different country, a different state, or just two towns over. Spend a week or spend a day, but GO! 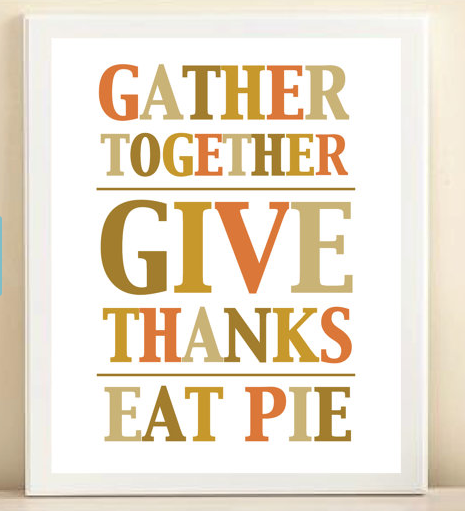 Enter the Rafflecopter below to win this print from Amanda Catherine Designs! BIG THANKS to Katherine for giving away this adorable print! I love this guest post! I traveled alone for almost three months around Europe and I absolutely loved it and agree it is such a great way to learn about yourself! This is a great post! :) I went to the London Olympics by myself last summer, and it was the BEST decision. I didn't have to worry about someone else not wanting to wait along the triathlon/marathon route for hours, or if someone else didn't want to wake up early to get to an event, etc. etc. etc. I could do entirely my own thing, and it was SO liberating! I love this post!! I'm obsessed with traveling alone - its such a great way to explore on your own terms without worrying about what other people want. I am a new solo traveler and can't believe I waited this long start. I love that I learn new things about myself each time I venture out on my own. 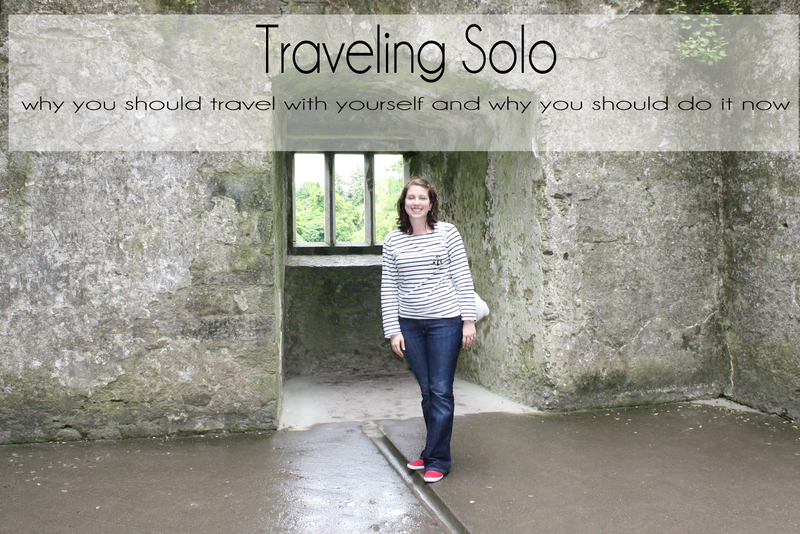 You are absolutely correct in stating that everyone should try solo travel at least once. It is such a liberating learning experience. Awesome guest post! Very informative and entertaining! Great post! And so true! 2 weeks ago I was feeling bored of life and really wanted to go to Malta for the weekend by myself. I planned everything out, found a cute B&B, looked up what to do and got really hyped but then right before i started booking stuff I remembered that i had tickets to the opera that weekend and other stuff going on so i was devastated that I couldn't go. But everyone thought I had gone crazy or something and didnt understand why I wanted to go by myself!! Absolutely! I've traveled the world solo. One of the best things I've EVER done!!! I have traveled to Canada all by myself a few years ago! I was visiting family, but I saw the sites all alone. I traveled solo for the first time this summer at the ripe old age of 20 on a 2 week vacation to Colorado and Utah. I learned SO much about myself in those 2 weeks. I learned important skills like how to navigate an airport, how to keep myself safe in a big city, and even that I love sightseeing. I gained so much self-confidence having to speak for myself in situations. I can't wait for my next solo vacation! no way! im such a scardey cat! I would travel alone, it's not the easiest thing to pull off. The farthest i've traveled is Sacramento to SLC Utah and Sacramento to San Luis Obispo solo. Nothing exciting. Luckily I have a lifetime built in travel partner from now on. Though I have traveled extensively around the globe, nearly all of the time I have been with a friend or with my husband. I feel that I have missed out on many aspects of travel in doing so - especially when traveling with a male counterpart. I appreciate the security that comes with traveling with a man, but am aware of how commonly this places me in a "back-seat' role. Wherever you go solo traveling is always a great different and rewarding experience. It's was fun reading your blog. Please keep sharing!